It is now thought that 20,000 species the world over are near extinction. A startling figure given our vamped up conservative efforts in recent years. In some cases, the damage is so irreversibly done that saving the species seems an almost impossible uphill battle. But work can be done to help. Below we have looked at some of the most endangered species in Africa showing you why they’re endangered and providing that charities you can get involved with to help. The Black Rhino or hook-lipped rhinoceros is native to eastern and southern Africa. They stand roughly 140-180 cm in height at the shoulder, but unusually large males have been discovered. Their thick layer of skin helps protect them from thorns and sharp grass. 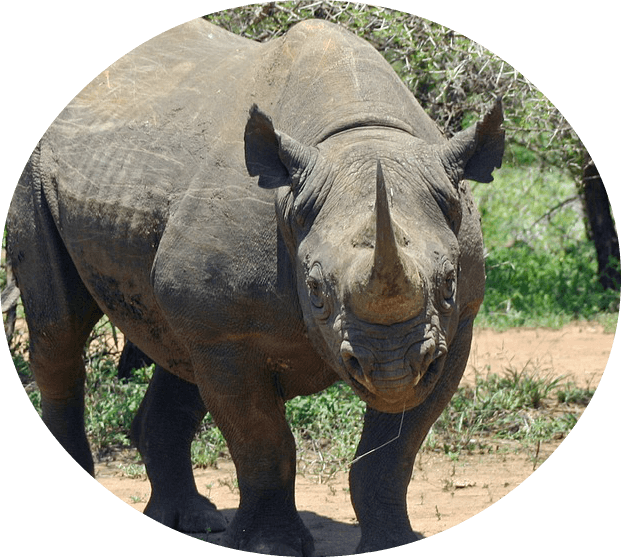 Hunters can be held responsible for the early decline of the black rhino population. When European settlers arrived in Africa in the early 20th century, it wasn’t uncommon for five or six black rhinos to be killed in a day for amusement or food. 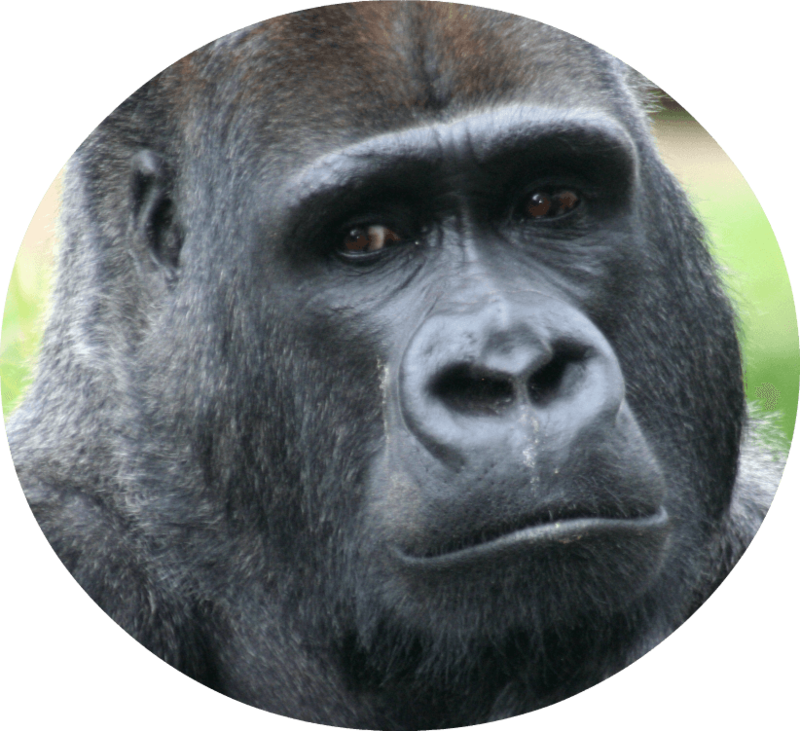 The Cross River Gorilla is very similar in appearance to their relative, the Western Lowland Gorilla. Very slight differences are found in the skull and tooth dimensions. They were named as a new species in 1904 and we first captured on professional video in 2009. The main reason for their endangered status is that humans are starting to encroach on their territory, often clearing out forest habitats where they live. Poaching also occurs in these forests, diminishing their numbers rapidly. The Pangolin is a nocturnal animal that’s easily recognised by their scaly armour. There are four species found in Africa and four found in Asia. All eight of these species are protected under national and international laws. Their habitat has suffered from heavy deforestation over the years. 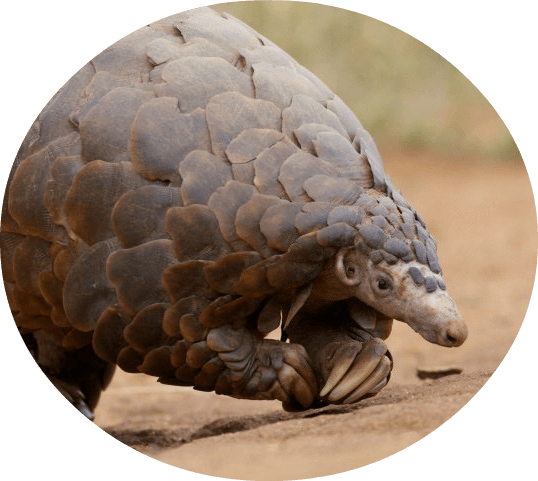 Couple this with the fact that they are one of the most trafficked animals in the world, and it has led many to believe that all subspecies of Pangolin are endangered. 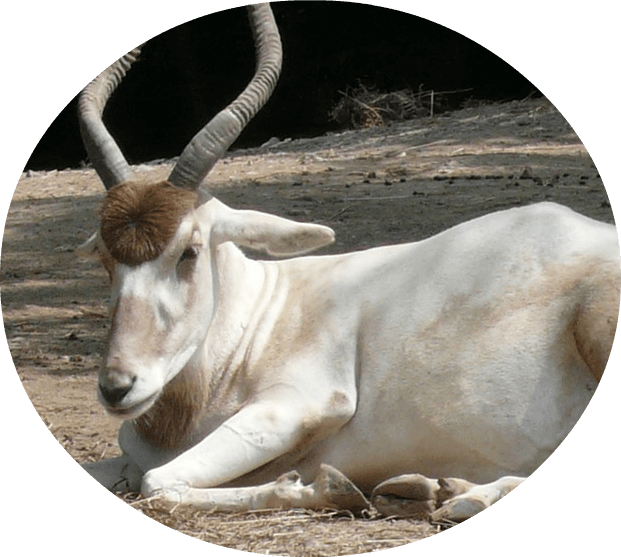 The Addax, also known as the white antelope lives in the Sahara desert. They mainly eat grasses and hers were led by the oldest female. While their numbers are few in the wild, in captivity they are quite common. Their slow movements mean that they make easy pickings for predators like lions, hunting dogs, and cheetahs. Unregulated hunting, however, has been the main cause for their decline. 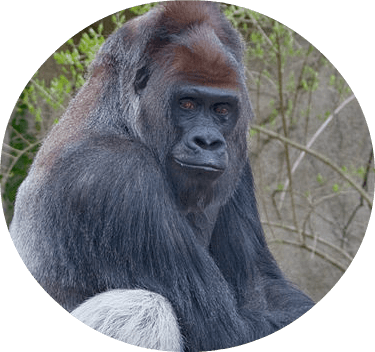 This gorilla is one of two subspecies of the western gorilla. They primarily live in lowland swamps and dense forests in Africa, Cameroon, and Angola. While actually the smallest subspecies of gorilla, they still wield incredible strength. Also known as the bushman rabbit – this is one of the most endangered mammals on the planet. 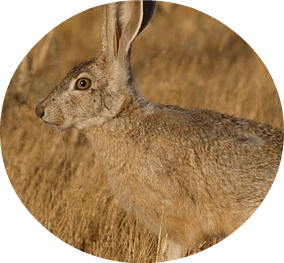 They have a longer body and longer ears than other rabbits and are found in the Karoo Desert of South Africa’s Cape Province – an unprotected area. They regularly come under pressure from hunters, trapping, and predation by feral dogs and cats. Their slow breeding also contributes to their steady decline. 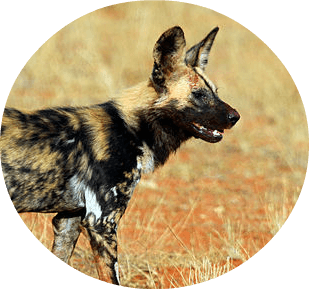 The African Wild Dog is a social animal, living in packs with different hierarchies for males and females. The species hunt antelope and have few predators themselves apart from Lions and spotted Hyenas. The majority of the population now resides in Southern and Eastern Africa. Their decline is a result of habitat fragmentation, human persecution, and consistent disease outbreaks. The Ethiopian wolf has extrememly specific habitat requirements and unlike other candids which are generalist feeders, they feed on Afroalpine rodents. 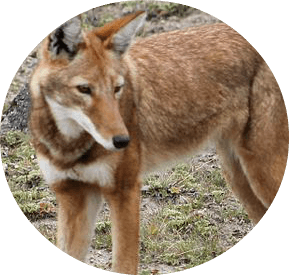 More than half of the entire population of Ethiopian Wolves can be found in the Bale Mountains. Threats to these animals include expanding pressure from human populations, which in turn has caused disease and habitat degradation. The African Penguin (also known as the jackass penguin because of its donkey-like brey) lives in oceans around southern African waters. They’re very recognisable thanks to their thick band of black in the shape of an upside down horseshoe. 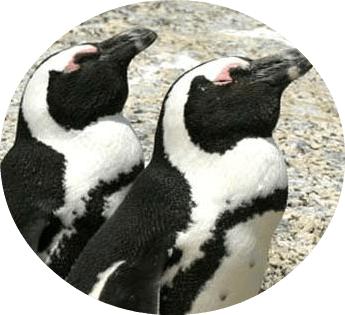 There are a number of threats to the African Penguin including oil spills, habitat reduction, and human interference. 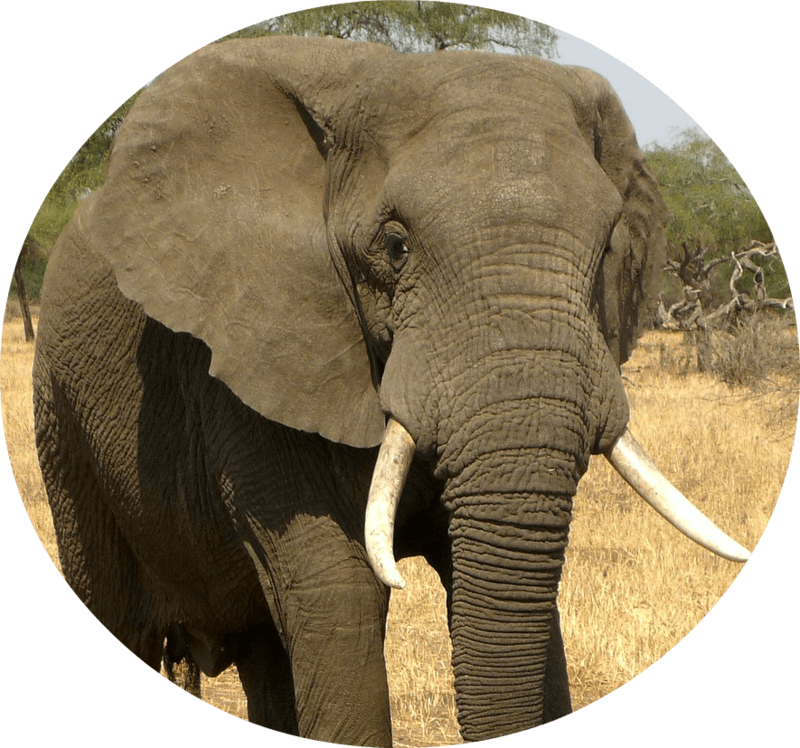 One species of the African Elephant, the bush elephant, is actually the largest living terrestrial animal. Their tusks occur in both males and females and are used in fights, for feeding, and for digging. Their large ears allow them to radiate excess heat. Also known as the imperial zebra, this is the most threatened of three zebra species. 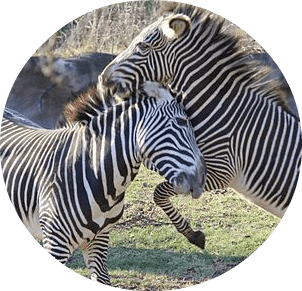 Grevy’s Zebra is distinguishable by its height, large ears, and narrower stripes. They can live for up to five days without water and mate and give birth all year-round. The main reason for their reduction in population is loss of habitat. Their young have a low survival rate due to overgrazing and competition for water, also.